Blue Heaven Banipark is a wonderful piece of property that offers spacious and cosy rooms to its guests. The rooms are well-furnished and the notable piece of furniture in every room in the plush sofa set. The interior decor involves a lot of wood work and the colors used in the room are quite pleasant to the eyes. 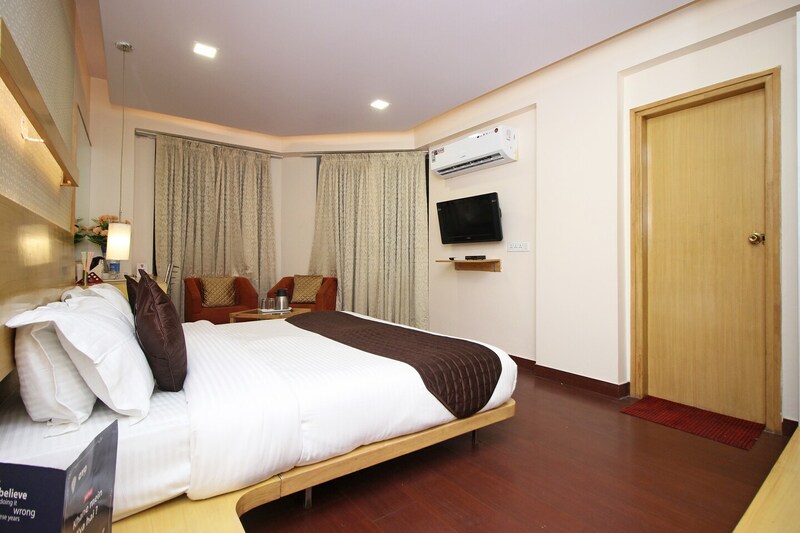 The additional features provided by the hotel are free Wi-Fi, a mini-fridge in each room, parking provisions, an elevator facility, laundry provisions, CCTV cameras and card payment in all forms. The front desk service has been decorated very beautifully and is surrounded by a well-furnished reception. All these facilities help to destress the guests after a long day.